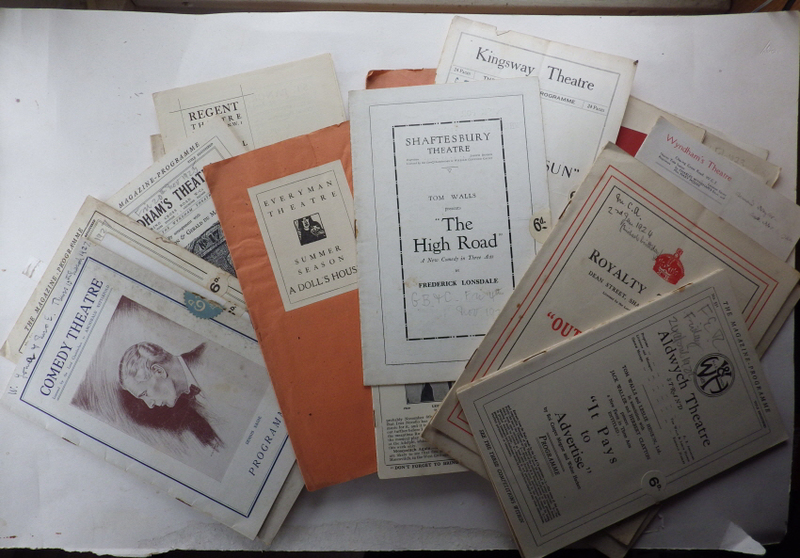 Theatre programmes: A collection of 31 1920s theatre programmes including a couple of duplicates, various sizes. Theatres include Globe, Aldwych, Royalty, Wyndhams, Shaftesbury, Everyman, Garrick, St Martin’s, St James’s, Kings, Theatre Royal, Kingsway, Carlton, Ambassadors, Regent etc. Many have pencilled dates on them. Category: Programmes. Tag: Theatre programmes 1920's.